LBRY Sneak Peek: Can Blockchain Tech Beat BitTorrent, NetFlix and iTunes? 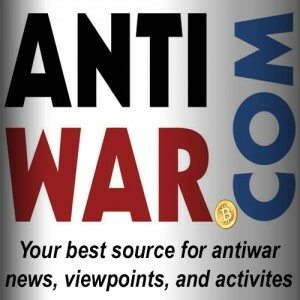 Bitcoin looks ready to completely undermine the corrupt global banking cartel. This is thanks to the blockchain – the core innovation of Bitcoin and perhaps the defining technology of the 21st century. New “bitcoin 2.0” projects like Ethereum and MaidSafe are showing just how powerful and useful the blockchain can be outside of simple cryptocurrency applications. I recently got a sneak preview of a platform that hopes to do for content what Bitcoin has done for money. 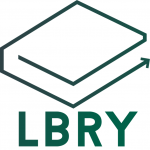 It’s called LBRY (pronounced “library”), and it essentially uses a blockchain to decentralize and improve upon BitTorrent, NetFlix, or other content distribution services. If it works, someday we may all be opening LBRY to browse films, music, and ebooks rather than the many subscriber services we use today. The concept is simple. A content provider uploads a file to LBRY, and the file is chopped up, encrypted, and distributed to a network of hosts. The metadata for the file (title, location, etc.) is stored on a blockchain. Users can then pay the providers and hosts to decrypt the file and download or stream it. Payment happens through LBRY’s native altcoin, called “LBRY credits,” which is also what is mined to create the blockchain which stores the metadata. I attended a live preview demonstration hosted by Kauffman to see LBRY in action. The LBRY desktop client looks clean and simple. The user (LBRY calls them “patrons”, while content providers are “publishers”) types the name of the content they want into a search field, which looks like a website URL but starts with “lbry://.” In this demo, Kauffman typed in lbry://wonderfullife and It’s a Wonderful Life instantly launched in his VLC video player. I asked if it would be that easy with the actual application when it launches, and was assured that’s all there is to it. The one difference is that the film will have a price in LBRY credits that will be deducted from the user’s wallet. You might wonder, as I did, how they get the name “wonderfullife” to point to the right film. This is all done through a bidding system that might be familiar to our Georgist readers. Basically you have to pledge a certain amount of credits to have a name point to your content – and you can always be outbid. The LBRY team hopes this will result in the names being allocated efficiently through market processes. But I think the real innovation here is LBRY’s native alt-currency, which allows patrons to pay publishers directly, at the moment the content is exchanged. This completely cuts out middlemen, connecting content providers directly to their audience. Hosts also get paid, which incentivizes a stable decentralized network – quite different from torrents, where you have to hope there are enough charitable seeders for what you want to download. 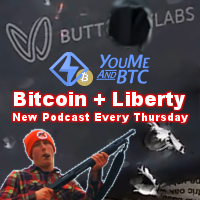 While there is no hard launch date yet, Kauffman said that LBRY will be made public before the end of the year. There are a lot of promising cryptoapps that haven’t delivered, but I left the demo feeling hopeful at least that this one does survive. If it does, I could imagine it really taking off. They’re calling for alpha testers and lining up publishers at their website. You can also find a recent interview with Kauffman on NeoCash radio.